To support recovery efforts for aquatic species of the Empire Valley, new habitats were established in key locations on Las Cienegas National Conservation Area. 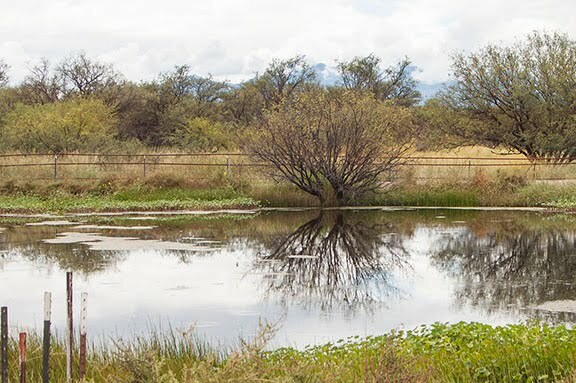 Working closely with the livestock operator (Vera Earl Ranch) we converted cow ponds into wildlife ponds by building metal fences that exclude cattle. The fences are to Arizona Game and Fish standards as being wildlife friendly and easy for antelope and deer to cross. We installed pumps to maintain water levels at the site and drinker tubs so the livestock would have clean water available. 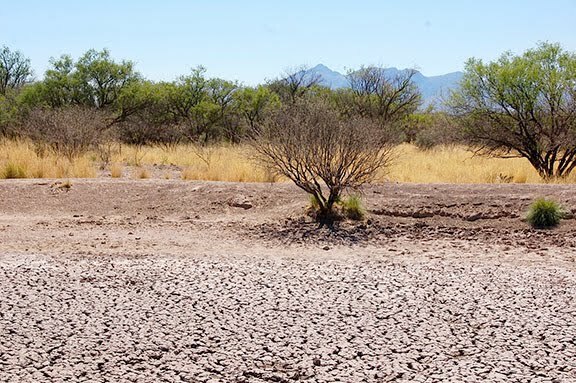 Threatened and Endangered aquatic species have been introduced into these new habitats including Chricahua leopard frogs, Northern Mexican garter snakes, desert pupfish and Gila topminnow. Much to our delight, these new populations have exploded and are thriving. Cottonwood Wildlife Pond before and after transformation.